Corner blades simplify the cleaning of curbstones of the pavement. 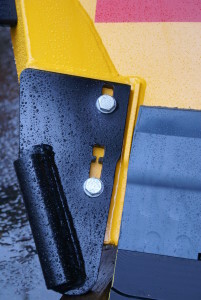 The edges of corner blade have round profiles that ensure soft, impact-free cleaning of curbstones. The corner blades are attached on to moldboard of highway snow plow models (MSPN and MSK).